At Angus Car Service we pride ourselves on our fair & equal treatment of female customers. There’s no greater feeling than knowing your valuable car is in safe hands and that you’re not being ripped off. Angus Mechanical Repairs has been established in the Penrith area for over twenty years. Aaron & Claire Hills bought the business off Angus McCauley in 2006. Angus Car Service Penrith (formerly known as Angus Mechanical Repairs) is an award-winning family-owned mechanical business you can trust. 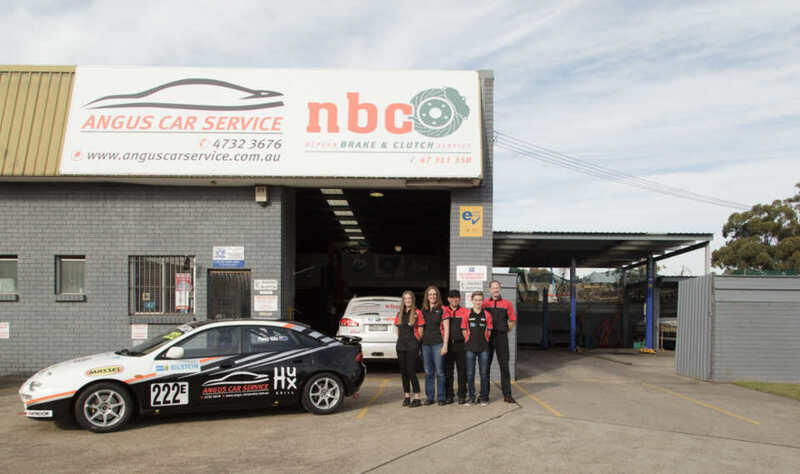 Business owners Aaron and Claire Hills have been proudly serving the Penrith region for more than 20 years, with outstanding car servicing and auto repairs, and exceptional customer care. We offer a professional, friendly and honest service for all automotive makes and models. Your safety is our priority, which is why we guarantee excellent attention to detail, quality workmanship and prompt repairs. As part of our customer service commitment, Angus Car Service provides a FREE car wash with every visit and a FREE rego check for regular clients. For your convenience, we also have a FREE drop-off and pick-up service within the local area. Angus Car Service treats all clients fairly, equally and respectfully. We welcome women customers and provide family-friendly waiting areas and restroom facilities. Our team of mechanics will take the time to clearly explain all repair details and cost estimates to ensure you are in safe hands. As part of our quality service, you will deal directly with the mechanic who works on your car. Angus Car Service is a local business dedicated to serving the local community.